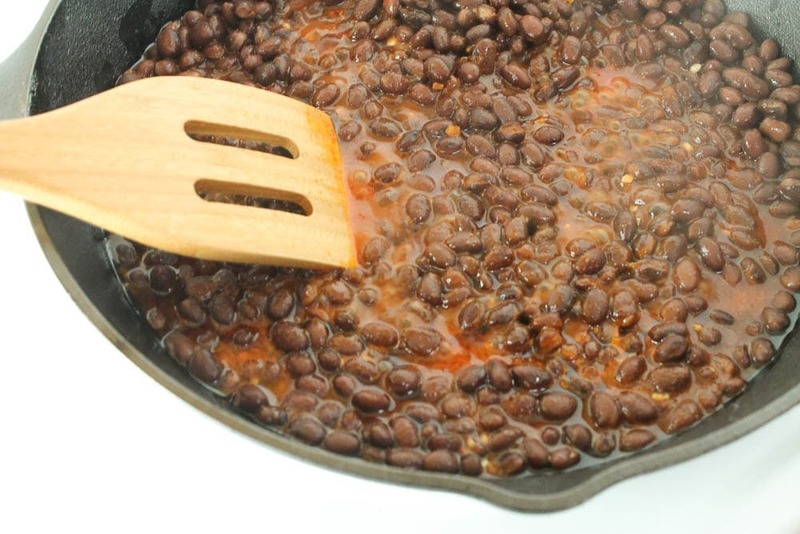 Honestly, I make these black beans so often that I don’t really use a recipe, I just make them from memory. Writing the recipe down reminded me how quick and easy it really is. 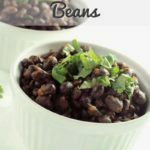 One thing you’ll notice about this recipe is that it calls for a little less liquid than most Mexican black bean recipes and that means the consistency ends up being slightly different. There’s a little less liquid in the final product and it’s less (for lack of a better word) soupy. If you like your black beans served in a little more liquid, feel free to add more tomato juice. I think it is the tomato juice that is the real magic ingredient in this recipe. Most Mexican black bean recipes call for chicken or vegetable stock, but the tomato juice adds so much more flavor. It was actually my toddler’s love of this recipe that led to it being made so often in our house. Not too long after his first birthday I made these for the first time. He ate them by the handful, and ended up covered in beans from head to toe. He started asking for beans every night for dinner and eventually I had to make a rule that we would only eat these once a week. He just turned two and still loves these just as much as the first time he ate them. One of the the other reasons I make this recipe so often is that it can be used in so many different ways. 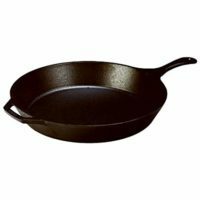 I often serve these as a side with rice, but I also use them to top tacos and salads, in burritos or enchiladas, or (my favorite) as empanada filling. The recipe makes about 3 cups of beans, more than enough for my small family, so I generally reserve 1/2 of the the beans in a Ziploc bag and freeze them for later. 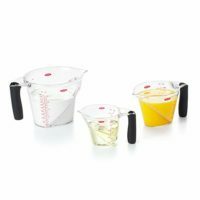 Once I’m ready to use them, I thaw them on the counter for a few hours then heat them in the microwave or over the stove. 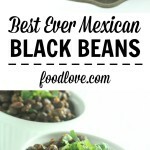 These really are the best ever Mexican black beans. Served as a side, on tacos or salads, or in burritos or enchiladas, they're delicious, quick, and easy! can these be made with tomato sauce instead of tomato juice? I haven’t tried it, Debby, but it seems like a small can of tomato sauce would work just fine! I made these with 1/2 cup tomato puree and 1/4 cup water and they turned out great! These are my new go to for black beans. I made these today and was out of tomato juice, so I tried plain tomato sauce, and I would say it was not as good. Tomato sauce is thicker and has a stronger tomato flavor. I made a second batch using tomato sauce mixed with water, and that worked pretty well. What are the taco seasonings? We use McCormick Taco Seasoning spice mix. If you don’t want to use that, you can use 1 teaspoon chili powder, 1/2 teaspoon cumin and 1/2 teaspoon oregano. Good luck, Dawn! 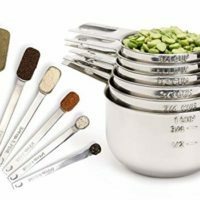 Hi Marsha, I always use dry bean and I was wondering how much do I cook to have the amount needed for your recipe? My son love, love bean also its something that he ask for very often!! Hi Patricia, if you cook 1 1/2 cups of dried black beans it will equal about 3 cups cooked, which is the amount you need for this recipe. Enjoy! These awesome! Think I could throw it all in yhe crockpot? I think so – but no guarantees, because I haven’t done it! This is such a quick recipe that it would need a little adaptation for long and slow cooking. I would try maybe 3 hours on low, and add about 1/2 cup of water to keep them from burning. 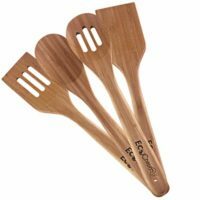 If it’s too soupy at the end you can turn up the heat to high and cook away some of the water. LMK if you try it! I have never made my own Mexican black beans. This looks so delicious I just have to try it. Thanks for sharing! It really is delicious! I hope you enjoy! 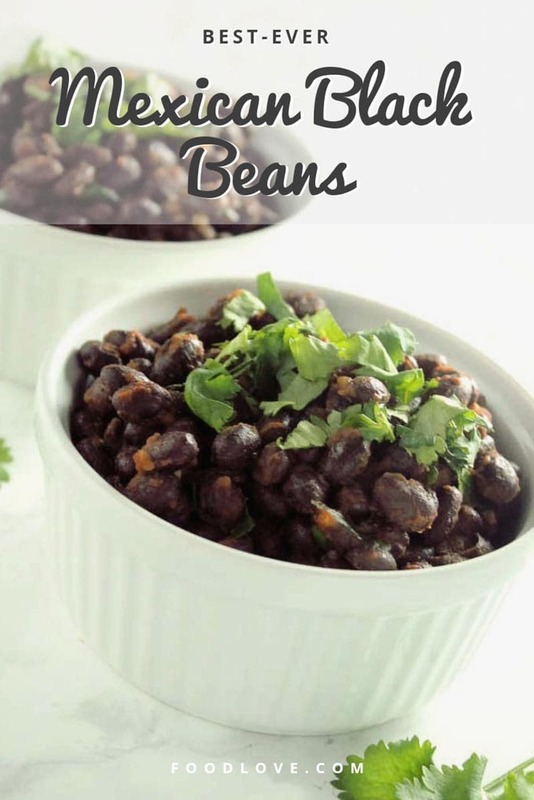 I love beans they are so versatile and packed with lots of great nutrients! 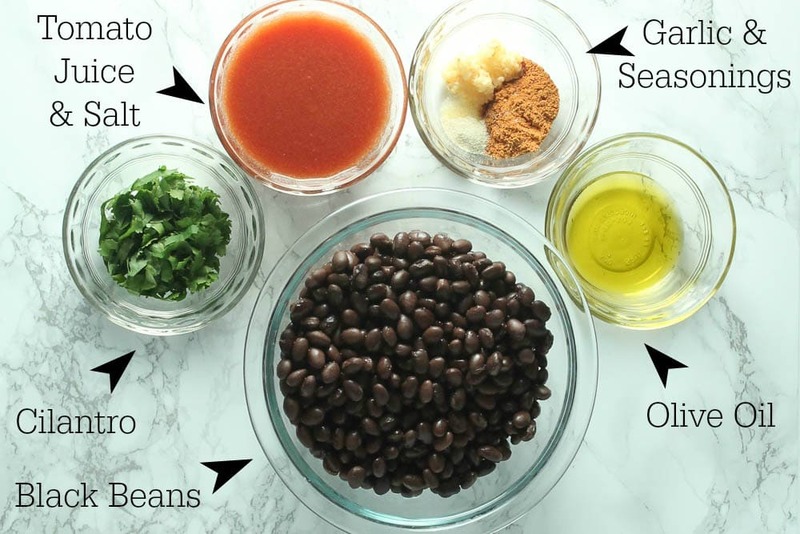 I agree – beans really are a superfood!